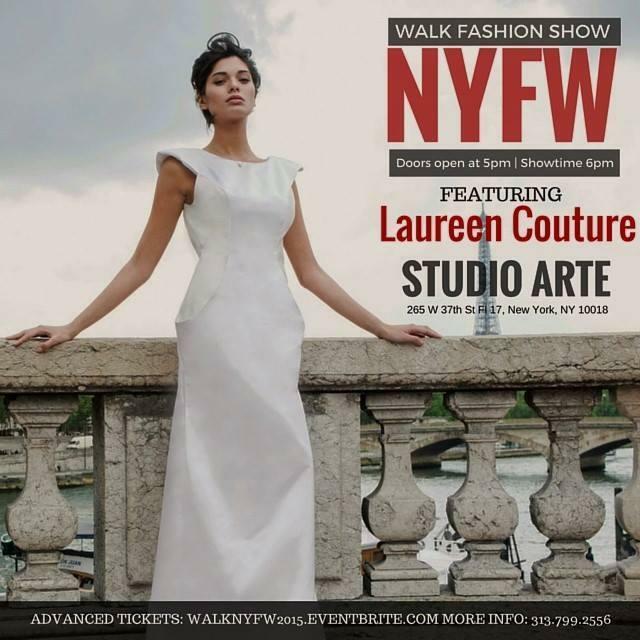 We are proud to announce you that Laureen Couture will present its collection “Aurore during” the New York Fashion Week! Laureen Couture in NYFW. Much more than wedding dress. Doors open 5pm || Showtime 6pmTickets available at walknyfw2015.eventbrite.comAll Media, Photographers, Press and Blogger are welcome!